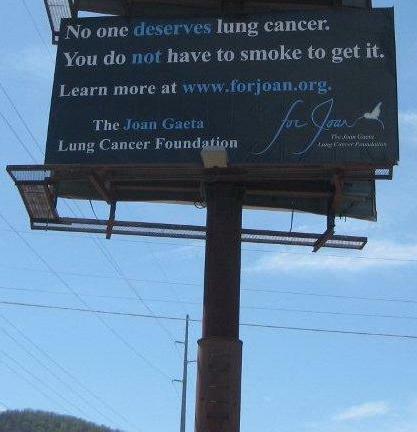 Thanks to generous donations from our supporters, The Joan Gaeta Lung Cancer Fund has been able to secure billboard space along U.S. 76, adjacent to North Georgia's popular Lake Chatuge. It informs passers-by that no one deserves lung cancer and that you do not have to smoke to get it.The billboard will remained up throughout the summer of 2010. 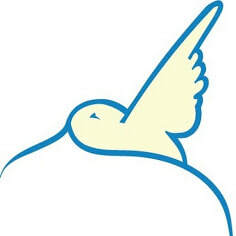 Check out our 2009 Billboard HERE.